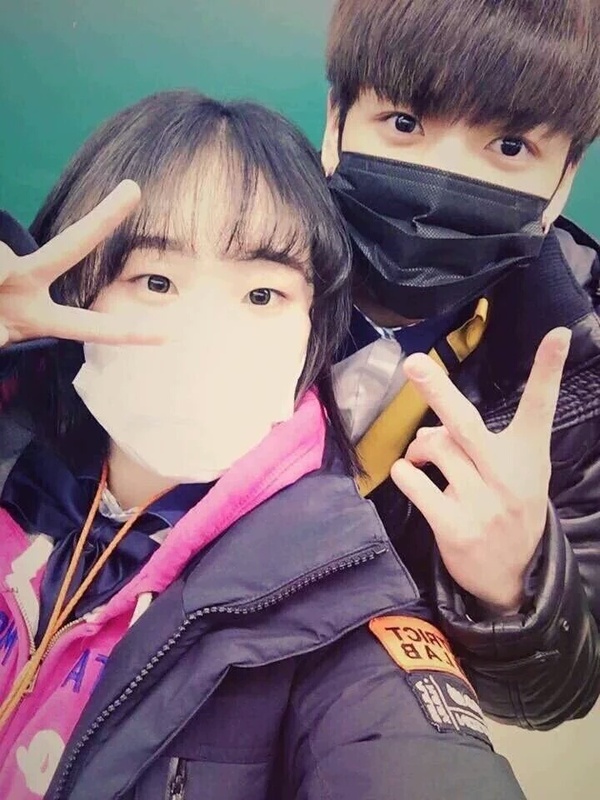 Jungkook at Highschool. Taking a selfie with a classmate (lucky girl hahah). HD Wallpaper and background images in the 정국 (방탄소년단) club tagged: photo jungkook bts bangtan boys kookie highschool school class selfie.